August 31, 2011  Vera Farmiga makes her directorial debut with Higher Ground, which centers on a woman who joins and then flees a fundamentalist religious order. Film critic David Edelstein says the movie is "complicated and unresolved in the best possible way." August 31, 2011  Who's going to die in Shark Night 3D? We have a very scientific approach to figuring that out. Well, not "scientific." Perhaps "haphazard" is a better way to describe it. August 31, 2011  At first glance, Joann Sfar's film about the taboo-shattering French entertainer is like no biopic you've seen before. 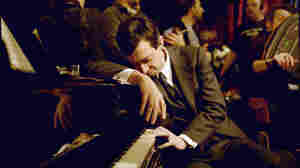 But despite its (graphic-) novel approach and its startling visuals, Gainsbourg is a standard-issue music bio at heart. August 31, 2011  A classy cast and a sober premise drive John Madden's thriller about three Mossad agents coping with the fallout from a long-ago mission — but the movie's feverish plotting and sullen overacting deplete all efforts at gravitas. 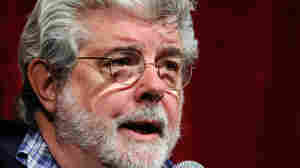 Rumor Has It George Lucas Changed 'Jedi': Hey, Think Anyone Would Mind? August 31, 2011  What has Star Wars fans all freaked out this time? Well, a slight tweak to the Ewoks, plus a dialogue change that you wouldn't think would be all that big of a deal, but in fact, it has set a tiny segment of the internet ablaze. August 30, 2011  We rush to judgment on the long (long) delayed Julia Roberts film, Fireflies In The Garden, which has played around the world for more than three years and never seen a U.S. release until now. August 30, 2011  In March, Hollywood lost one of its brightest stars — Elizabeth Taylor. 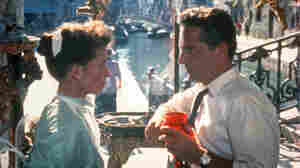 Murray Horwitz wraps up the 2011 Summer Movie Series with his favorite Liz Taylor films. August 30, 2011  A movie about the provocative, multitalented French performer is the latest project for a filmmaker — already a star in the comic books universe — who is as interesting as his subject. 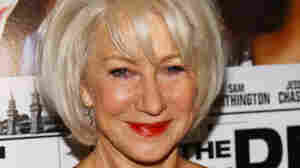 August 29, 2011  Helen Mirren can do basically anything, and we've come up with a list of 20 movie roles written for men where we still think she would have been pretty great. August 28, 2011  Director John Madden says he likes his audience to "do a little bit of work" when they watch his films. His latest, The Debt, chronicles a group of young Israeli Mossad agents in the 1960s whose mission is to track down and capture a Nazi war criminal. August 27, 2011  In the Pacific Northwest, there's a 197-mile, 30-hour relay race called the "Hood to Coast." 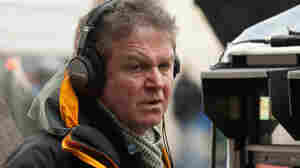 Host Scott Simon talks with Christoph Baaden, director of the eponymous documentary, which details four teams' experience running the race. August 27, 2011  A new adaptation of Graham Greene's novel of crime and romance, starring Andrea Riseborough and directed by Rowan Joffe, transplants the action from the pre-World War II era in England to the year 1964, and in doing so highlights the tension of a new generation coming into power. August 26, 2011  The Oscar-nominated actress, who has appeared in Up in the Air and The Departed, talks about her directorial debut, a film about a woman's search for faith. Farmiga, who calls herself a "seeker," also stars in the film.